Influencer marketing has moved from the emergence phase to growth phase. As it transcends niche status influencer marketing is falling foul of tall poppy syndrome - a tendency to discredit or disparage anything that's achieved notable prominence. Mainstream media are quick to pick up on negative influencer marketing themes like lack of effective disclosure by brands and influencers on advertorial and sponsored content. A survey by Prizeology earlier this year earned a stack of column inches with its report: ‘Under the Influence’. The research found 71% of people in the UK thought there were no rules around the use of influencers, despite being regulated by the Advertising Standards Authority (ASA), while 61% believed influencers don’t have to disclose that they have been paid to talk about a product. Almost half of those surveyed were not aware of the hashtags and language influencers must use to indicate their commercial relationship with a brand. In reporting the story the media described Prizeology as a prize promotions agency neglecting to mention the firm also offers influencer marketing compliance coaching. I am not suggesting that Prizeology hid the fact that it offers influencer marketing compliance training alongside prize promotions revenue streams. However, there is a commercial interest for the firm to highlight the lack of awareness about disclosure regulations within the industry. Product placement double standards: Product placement is handled differently between influencer marketing and broadcast media. Brands and influencers should effectively declare a material connection when collaborating on advertorial or sponsored content. It is the right thing to do legally, morally and commercially. Are there double standards at play between influencer marketing on social media and product promotion on the television? Are sponsorship deals treated the same on TV as they are on social media both by regulators and in they way the media reports the approach? I like watching Coronation Street. 7.8 million other people in the UK enjoy the long-running British soap, too. It's sponsored by insurance comparison website, Compare the Market. I know this because Meerkats appear at the start of every episode, during the advertisement break, and at the end of the show. One of the Meerkats always helpfully tells us: "Compare the Market proudly sponsors Coronation Street". So what is the strange logo featuring the letter P that appears just before the credits at the end of the soap? The P here stands for product placement. So every time David Platt swaggers down the cobbles nursing a large Costa Coffee takeaway cup he's not saying ‘up yours’ to Roy Cropper - owner of cafe, Roy's Rolls. Rather, he’s helping the long-running soap earn more revenue. 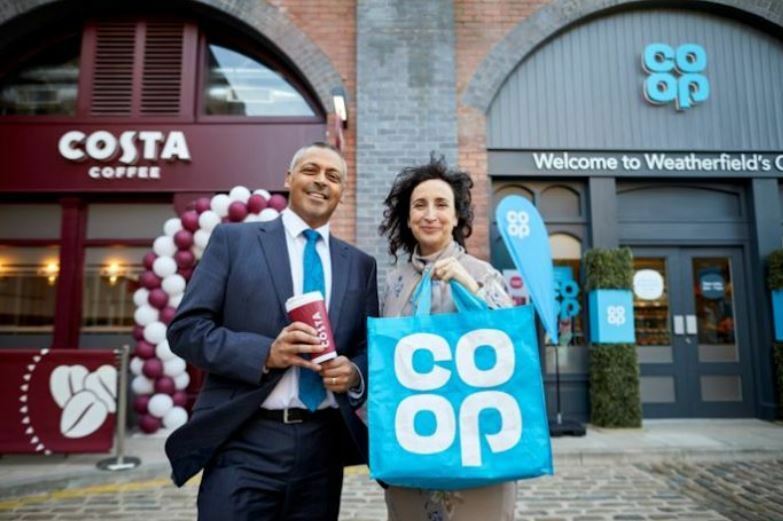 I had to look up the denotation of the P. My interest piqued by the sudden and growing number of Costa Coffee drinkers in Weatherfield and a Co-Op opening up just a few doors down from Dev Alahan’s corner shop. Coronation Street’s product placement tie-ins are new. The deals were signed at the start of this year. Rules on product placement date back seven years, however. Since 28 February 2011, and after much lobbying, TV programmes made for UK audiences can contain product placement as long as they comply with Ofcom's rules. Am I alone in being confused by the P symbol for product placement? No, only 27% of the UK public have noticed product placement in a UK TV show. Although 30% recalled seeing the P symbol that denotes placement is coming up in the proceeding show, only 22% knew what the symbol meant. This is according to new research by TRP Surveys, a UK-wide media survey run by media research agency TRP Research. Yet, apart from the TRP Reseach, I couldn't find any other media mention since 2011 about consumer awareness - even though eight-out-of-ten UK consumers (78%) don't know what the product placement symbol means. “Product placement is when a company pays a TV channel or a programme-maker to include its products or brands in a programme. So, for example, a fashion company might pay for a presenter to wear its clothes during a programme, or a car manufacturer might pay for a character to mention one of its cars in a scene in a drama. "Ofcom's rules on product placement stipulate that it "must be signalled clearly, by means of a universal neutral logo ... at the beginning of the programme in which the placement appears; when the programme recommences after commercial breaks; and at the end of the programme". TV's product placement symbol was not clear to me or to most other telly watchers in the UK. 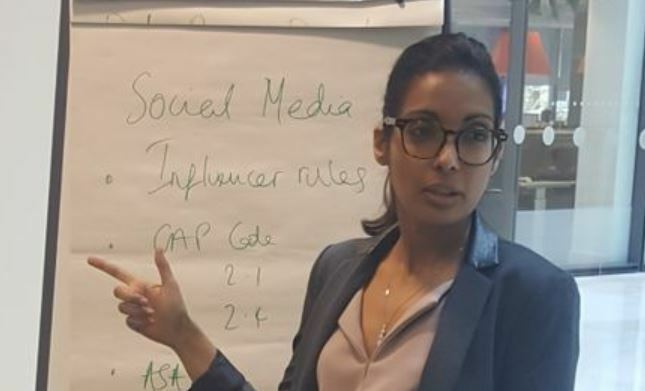 To find some clarity I turned to Rupa Shah, the founder of Hashtag Ad - a regulatory consultancy that provides training and support to brands, agencies and tech platforms on the advertising rules related to influencer marketing. Product placement double standards: Rupa Shah, founder of consultancy Hashtag Ad explains that Ofcom is responsible for the rules governing TV content whilst the ASA is responsible for product placement on social media. "There’s a rational reason (at least in the UK) why the rules for product placement on TV do not match those for social media," Rupa told me. "Ofcom is responsible for the rules governing product placement, including what can and can't be shown on TV screens. But the ASA is responsible for product placement on social media. "Ofcom applies its Broadcasting Code and the ASA applies the CAP Code and CAP Guidance which have evolved through a series of ASA influencer rulings. "Although the general principles are essentially the same (viewers must know in advance that the broadcast contains product placement) the Broadcast Code product placement rules have remained fairly static since they were introduced, whereas CAP’s Guidance has had to adapt to the explosive growth in social media channels and platforms. "Is it fair to say the TV rules are less stringent? Arguably, yes. The P symbol used in TV is a simple and uniform method but potentially less intrusive than the ad-disclaimers and hashtags required by the ASA and CAP. "But do consumers expect or even want TV and radio ads to be treated the same way as social media ads? It’s a question the ASA might touch on in its current project into consumer perception of social media ads and I would say it’s a relevant point to explore as the disconnect between TV and social media becomes increasingly apparent." 'Real estate' on social media is at a premium. Every character counts on platforms such as Twitter and Instagram. Using #ad or similar makes sense to ensure an advertisement is obviously identifiable as such. Television does not suffer from such character restraints. Here a tagline disclosure of: 'this television programme contains paid-for promotion' would remove all ambiguity. Let's take a sense check on regulation and reporting of influencer marketing. Yes, brands and influencers should effectively declare a material connection. But this is a new marketing discipline only just entering the mainstream. Commercial television was launched in the UK 63 years ago in 1955. Its product placement regulations have been in effect for the last seven. Two wrongs have never made a right. But time to cut influencer marketing some slack. Hashtag Ad provides guidance and training at all stages of the influencer marketing process. You can learn more about Hashtag Ad on its website.